The price of gold closed below $1,100 for the first time in 5 years this week. Analysts once predicted that gold prices would surge to $5,000 an ounce, but now many are saying that the precious metal could fall back through the $1,000 mark before the end of 2015. The US dollar has been gaining in value on the back of positive data on the economy. The value of the dollar typically has an inverse relationship with commodities. 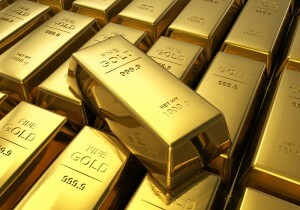 The reason for this is like other commodities, gold is priced in dollars on international markets. This means that when the dollar rises investors have less buying power and commodities become more expensive. Another factor emanating from the US is the recent talk of an interest rate rise. The Federal Reserve has been dropping strong hints that it may increase the base rate sooner rather than later, and possibly in 2015. That will diminish the attraction of non-yielding assets such as gold. Since gold provides neither a dividend nor an income, there is an opportunity cost of holding the asset that may be worth paying in bad times, when interest rates are low and the gold price is likely to be rising. But, when markets are improving, interest rates are rising and returns are increasing, that opportunity cost starts to become less attractive. This last point is one often missed in analyses of any sharp market fall. Many trades are now executed on an automated basis, with software which is designed to buy or sell when a price hits a given high or low level to manage risk in big portfolios. Gold has reached the sort of low where the ‘stop-loss’ trades kick in, further fuelling a sell-off. The irony is that these programs are designed to limit risk exposure and losses when in reality they often exaggerate market swings and increase nominal losses.